I have a confession to make — I am mechanically ignorant. You see, while I’m good at writing, speaking, researching, fighting, strategizing, negotiating, and composing at the piano, my father never taught me as a child to fix things around the house or with cars. But the last few months, I’ve been challenging myself to overcome fear and discomfort, and to put on faith and perseverance. And my new attitude on “fix it” projects has changed me. 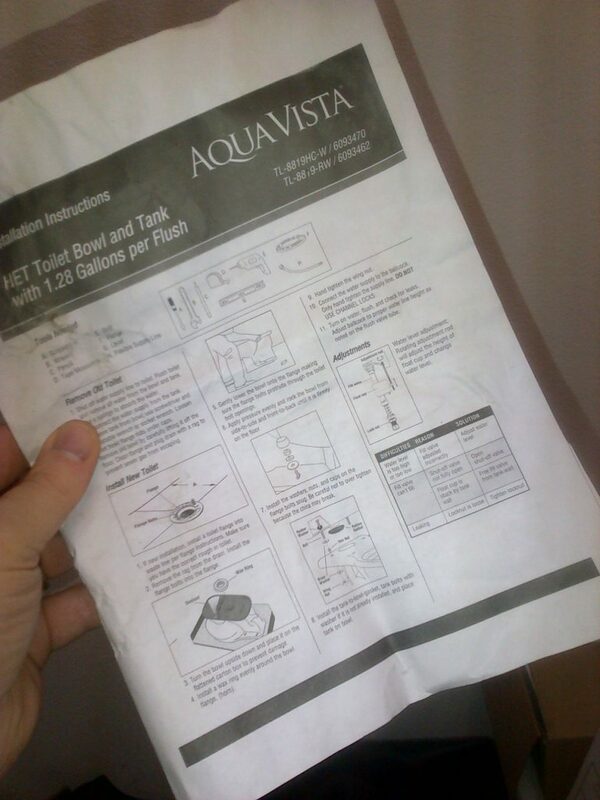 I’m taking “baby steps,” and so far, have learned to order and replace windshield wipers, test and replace drinking water filters, program Facebook ads (at work), program a new alarm system, install a solid state drive in a laptop computer, and install a new toilet. You see, for tasks like this, I really have been inept all my life. Anything mechanical or technical is a steep learning curve! The toilet was the most challenging. First, I tried to repair an old toilet, and was nearly successful, thanks to my handyman friend stopping by to give me pointers. But then, all by myself, I blew it by over-tightening the tank bolts. And the tank cracked, broke, and fell apart. I should mention here that another thing I learned to do was to dry very wet carpet. Because the water was leaking from a broken tank and the stop valve on the water supply tube wouldn’t shut off completely. Water was everywhere. Towels plus fans plus sweat did the job, and the carpet was mostly dry the next day. But now, I needed a new toilet and I needed it fast. Fortunately, I’m good at finding deals. So I was stoked to find a new toilet for less than $100, out the door. What an improvement! 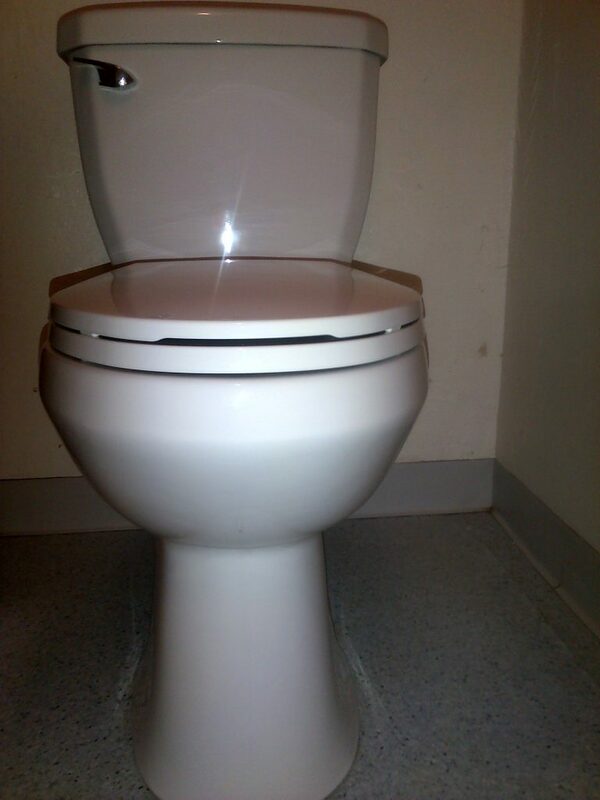 This one had more height, a stronger flush (if needed), and a self-closing lid. I was thrilled to barely fit the big, heavy box into the backseat of my small sedan with the salesman’s help. Going through my mind was I NEEDED to do this, I COULD do this, and I needed to GROW through this. I had human faith that I could succeed because I can follow instructions. And I had the belief that suffering through it — with an attitude that loved God and loved people — would conform me more closely to Jesus Christ’s character (Romans 8:28). The only problem was the instructions seemed to be from China and at times were difficult to follow. But then, because the written instructions were unclear, it became a real challenge to correctly attach the tank. A plumber would have taken two minutes, but as an ignorant newbie, it took me over an hour of trial and error, and applying logic — while contorting my body to fit in the small space around the toilet — to get the right fittings in the proper order to seal and secure everything. Finally, after intensely studying the less-than-optimal instructions and the accompanying drawing, I “got ‘er done,” and proudly proclaimed success. 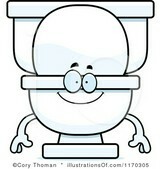 I even called my handyman friend to let him hear the flushing toilet. I thought I was finished, but I was mistaken. That same day, the toilet seat became loose and unaligned with the bowl. Since there were no instructions for this step, I foolishly just tightened the metal bolts tighter (good thing I was tightening the toilet seat instead of breaking another tank!). Two whole days passed before I stopped and realized that maybe I was using the wrong bolts and maybe those plastic bolts I’d left in the box would work better. After struggling half an hour in the small space around the toilet, I persevered to affix the lid with the plastic fasteners and plastic bolts — and the lid became secure and worked just right. It was finished! 1. Greater faith and love: Too many times, I’ve told myself “can’t,” when God in His Word, tells me “I can do all things through Christ who strengthens me” (Philippians 4:13). And I knew it was God’s desire that I conquer my childish fear of doing household mechanical things. And I knew He wanted me to love others so that they could use the toilet. So this was a literal, physical exercise of replacing fear with faith. And I had faith that I would indeed install a new, working toilet! Through it all, I was powerfully reminded that love for others makes pain more acceptable. And, that imagining success — as opposed to imagining failure — gets things done. “Now faith is the substance of things hoped for, the evidence of things not seen” (Hebrews 11:1). 3. Obey the Creator: Without manufacturer instructions on mechanical things or experts training me on technical things, I’m sunk. And without obeying the instruction I receive, and without doing things the way whatever it is — in this case, the new toilet installation — is intended to be done, I will fail and suffer loss. My respect for, and yearning for more of, the toilet manufacturer’s instructions was illustrative of my real-life, desperate need for Creator God, by the Blood of Jesus Christ, and to obey His Holy Word, the Bible — the path of life. A lesson from the toilet: If I needed careful, good instructions to assemble a toilet, how much more do I need to eat and drink of God’s very applicable Word in order to know how to “assemble” each and every day! “Do you not know that to whom you present yourselves slaves to obey, you are that one’s slaves whom you obey, whether of sin leading to death, or of obedience leading to righteousness? But God be thanked that though you were slaves of sin, yet you obeyed from the heart that form of doctrine to which you were delivered. And having been set free from sin, you became slaves of righteousness” (Romans 6:16-18). Thank you for reading my account of what I learned from my “toilet trial.” I hope this stimulates you to overcome fear and put on faith, by learning new things that, while uncomfortable, are people-loving, character-building exercises, which God in His Word wants you to do. “You are capable of more than you realize. You are far more capable than you were even 12 months ago. On the one hand, these Donald Trump supporters have reason to be afraid. We’ve all seen the violence by anarchistic leftists who want to eliminate U.S. borders. And remember how moral conservatives who donated to California’s Proposition 8 to protect marriage licenses for a man and a woman had their home addresses posted on the web? And how one of them, Mozilla co-founder Brendan Eich, was pressured to resign by the so-called “tolerant” but completely hypocritical homosexual activists? Yet on the other hand, as our culture gets darker, there’s a greater need for people with Jesus Christ’s kingdom values to publicly shine their lights. With both soft and tough love, depending what’s needed. Truth is hard, and love is redemptive. And people who are accountable to God to “love your neighbor as yourself” (our Savior’s command) have no excuse to shut their mouths. And from a practical standpoint, it’s a fact in modern-day America that public sympathy is aroused by public victims. Homosexual-transsexual activists, who love playing the victim, know this. Yet risking being victimized is the mark of a Christian, who can expect that “all who desire to live godly in Christ Jesus will suffer persecution” (2 Timothy 3:12). 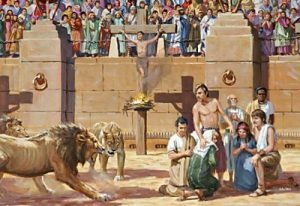 Indeed, the sacrificial love and loyalty to Jesus displayed by the blood shed by the Early Church overcame the Roman Empire by showing the public there was something eternally higher than ourselves to live and die for. In any case, some Trump conservatives going underground in the Bay Area can be scary and feel threatening. But let it be a wake-up call for you to re-energize your commitment to speak out, and to articulate facts that can change minds, and to be the light for Truth that you were called to be. For in an increasingly godless culture, there are more depressed people who wonder if there’s a purpose to life. Be a beacon of Life, demonstrating what’s true, what’s beneficial, and what’s worth fighting for! lest you become weary and discouraged in your souls.